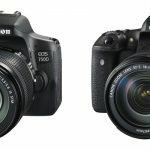 Home / Digital Camera Comparison / Canon Rebel T5i vs Sl1 vs T4i, what’s the difference? Since the launch of the first of the series, the Canon 300D (submitted in August of 2003 has opened the doors of the digital photography to the public at large) small and read Canon digital cameras are among the most popular in the category by lovers of photography with a limited budget. Cameras especially practical, able to offer, on average, a good quality of the pictures, all the settings that serve and machine bodies and standard zoom light and compact. Obvious that with each new announcement you unleash the interest in the research of improvements and new features that justify the purchase. Models as soon as entered in the list are the Canon rebel T5i and Canon sl1, the latter presented as "the smallest digital SLR on the market". The advent of the t5i has coincided with the output from the production of the previous model, the Canon t4i, which remains for sale and with an attractive price. Which should buy between the Canon rebel t5i, t4i and slq and why? Here are our considerations. 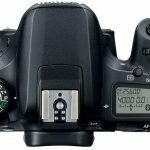 The heart of the three reflex in question and the sensor Hybrid CMOS AF 18 megapixel Canon uses already for a long time not only on consumer SLR (in version not Hybrid and at the edge of the Canon t2i, t3i, in addition to the three models for which we are talking about in this article), but also on semi-professional Canon 60D Excellent sensor, even if a bit dated compared to those of the competition (for example, the sensors from 24 megapixels, with greater dynamic range offers of the small Nikon D3200 and D5200). The version of the CMOS 18 megapixels on board of the Canon t5i, sl1 and t4i is the one provided with sensors AF, which allow the operation of the hybrid auto-focus, useful with the Live View mode and Video. In short, the quality of the pictures that churning out a t2i is substantially the same offered by new reflex, which can, however, boast the presence of a more powerful processor, the DIGIC 5 to 14-bit, instead of the previous DIGIC 4, which allows a wider range of sensitivity (up to ISO 12.800 , or ISO 25.600 , in extended mode), a more prompt response of the machine and fixes for the defects of the objectives (vignette, chromatic aberration…) before output to JPEG. The Canon t5i (which measures 133.1 x 99.8 x 78.8 mm and weighs 580 grams with battery and SD card in the respective accommodation) and t4i are, on the front of the bulkiness and weight, which are substantially identical. From this point of view the news are all in the specifications of the Canon sl1, which measure 116.8 inches x 90.7 x 69.4mm , and is therefore 1.63 cm narrower and almost a cm thinner than the rebel t5i, and weighs only 407 grams (always including battery and memory), so over 170 grams less than the t5i. Who is in search of a reflex small , because it has a very limited space in the bag, or because it is "intimidated" by reflex (but that is not the case…) can focus strongly on the 100D, however, keeping in mind three things: the SL1 has a built-in flash less powerful (guide number 9 against 13), the battery has a less autonomy (380 against 440 shots per charge), a set of commands on the back of the machine is reduced to the bone. The recommendation is that of a comparative test of the machines (touch) in a store, if nothing else to see in person (not all have the same taste and the same… hands) the goodness of the grip and the ease with which you can reach the controls for not having to repent of the choice. Even a peek at the loupe within the specifications of the two reflex is able to seize well a few differences, so much so that it is not easy to understand the reasons for this "upgrade", the same hardware, firmware, and then? something changes on the plane of the finish of the machine body, now with a look more "professional" is able to offer a better grip, and there is, at the edge of the t5i, a new wheel of mode that, rather than stick to the end of the stroke, freely rotates 360 °, AND yet, always in favor of the t5i there is the preview of the special effects. But in short, the only thing that is really worth reporting, and the new standard zoom offered in the kit, the 18-55/3.5 -5.6 STM, which offers the same set of focal length is the same aperture on the previous model but it has also the engine AF STM, indicated for the video. Same sensor, same DIGIC 5, same range sensitivity (ISO100 – 12800, expandable to ISO 25600), same system Hybrid AF at 9 points, with a difference, however, all 9 points a cross for the t5i against only the central point for the sl1. The two new DSLR cameras also share the system for cleaning the dust from the sensor, the touchscreen display Clear View II TFT 3-inch, with a resolution of 1.04 million points, the attack for a microphone and a pent mirror viewfinder with 95% coverage (slightly higher than the magnification offered by the 100D: 0.87 x against 0.85 x). In gusts in continuous mode the fastest and the Canon 700D, with 5 pictures per second against the 4 pictures per second of sl1, a difference, for the most users of a reflex of this band, absolutely negligible. It is the same even the video mode: full HD 1920×1080 at 30fps, or alternatively 1920×1080, or 640×480 VGA. A comfort offered by the t5i and the separate accommodation for the SD memory card, on the side of the machine, while the 100D houses the memory next to the battery, with access from the bottom of the machine. Another point in favor of the Rebel t5i, but not all of the photographers love him, and the swivel display, a characteristic that can be useful in shooting, for example, at the level life or land. Look not at all negligible in the choice and the price, is the price list and the actual price, in the shops and on the network, and on this front is the price of the EOS t4i enjoys the reductions imposed by the advent of the new models In kit with zoom 18-55mm IS II Media world (a seller chosen at random, to have a uniform in all three of the reflex) proposes it, at the time of writing the price, Check current price on Amazon. The small Canon sl1, with zoom 18-55mm IS STM, Check Current price on Amazon. For the Canon t5i, always with the zoom 18-55mm IS STM, the price rises to (Check current Price on Amazon). Not to be overlooked, for the reasons said at the beginning, the Canon t3i, a little "outdated", but deluded to have fun and even more, on offer at only 599 dollars with a lot of zoom 18-55mm IS. Hello would you mind letting me know which webhost you’re working with? I’ve loaded your blog in 3 different internet browsers and I must say this blog loads a lot faster then most. Can you recommend a good web hosting provider at a reasonable price? Many thanks, I appreciate it!